The Carpet Maker has gained a reputation as the most reliable high-end bespoke carpet manufacturer. With more than 3 decades of experience, we know how to cover a floor. We have served a diverse customer base drawn from top fashion brands, residential settings, private yachts and jets, royal residences and palaces to large hotel projects. The company takes pride in the craftsmen of Northeastern Thailand, whose expertise derives from a culture of weaving combined with years of training, experience and continuous improvements. The Carpet Maker has gained a reputation as the most reliable high-end bespoke carpet manufacturer with more than 3 decades of experience. Our company started at the bottom with a few employees and even without well-known designer labels supporting us at the first we became what we are today, a 700 more employees company exporting carpets and rugs in every corner of the world. We succeed in business because each of our workers know what it means to work hard in order to achieve a common goal. None of our designers went to some private expensive schools but they are able to make any of your ideas become concrete like nobody else. None of our craftsmen are living in fancy houses but they grew up among carpet makers who taught them everything you need to know about the creation of carpets. From the dyeing process of the yarn to the carving and finishing of the designs. As result of this hard and professional work we are able to provide you high value products at reasonable prices. We care about our brand identity and our origins not only because of its value as carpet manufacturer but also because we want all our employees to remember they are another link of the carpet makers chain which exists for hundreds of years. Only by knowing our past we can make our future even better. Our product range is comprehensive, incorporating dramatic contemporary and trusted traditional rug designs as well as custom made patterns for wall-to-wall carpets. The superiority of our indoor and outdoor carpets is found in the hand tufting, machine tufting and hand weaving. The Carpet Maker has served a diverse customer base drawn from top fashion brands, residential settings, private yachts and jets, royal residences and palaces to large hotel projects. Throughout our carpet journey, a commitment to continuous improvement always takes priority. Our main strength is our adaptability. 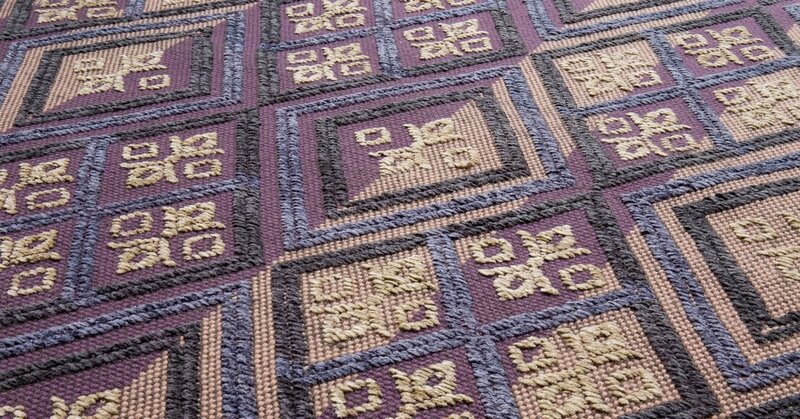 We can ensure you to reproduce any design, pictures or drawing you would send to us and turn it into a real carpet through the traditional hand tufted or hand woven skills of our craftsmen. No matter how sophisticated the new tufted machines are, none can match a handmade carpet about esthetic and design. Every one of them is unique. Some consider it as artworks but for us it is more than only art it is also a direct representation of our company obligation to fully satisfy our customers. Only the most resilient natural materials, including wool, silk, linen, and bamboo, are carefully selected for all our carpets, thus assuring a product with exquisite features and world-renowned quality. All of them are manufactured due to a traditional know-how coming down from generation to generation in the North-East of Thailand which is a world-renowned area for its high quality silk and its skilled craftsmanship. They are highly skilled in line drawing, tufting and carving our carpets. Excellence is our trademark and trust is our currency.